To declare something is to proclaim what you believe and put your voice on the line. This act is not for everyone. You must have a willingness to wander into the depths of yourself and the courage to stand for what you discover. The bolder the declaration, the more resistance you will face. For when you declare, you open to the power of impact, but also of opposition and judgements. How do I know about this resistance? Because I almost didn’t launch this Quirk Invasion. I am far from immune to fear. The closer it got to October 1st, the more I tried to self-sabotage and talk myself out of it. Excuses that I wasn’t ready. Self-criticism that I couldn’t handle it. I feared failure, mediocrity, and success simultaneously. And, that’s a very confusing place to be. There is no winning when no matter the outcome, you fear it. So, how did I move through this? 5. I chose a mission. Delight. With every step, I chose to delight myself and delight others. And guess what… Mission Accomplished!!! For every breakdown, something new can flourish. One of the things I’ve learned from this is that the darker you go, the more potential for lightness. I believe for every YIN, there also will be a YANG. YOU have been the yang. I have been in awe the last few days of your wide open hearts. Your depth. Your creativity. Your bravery. Each of your voices singularly echoing into the cave of the e-world. But, also together, you spread the quirk-cheer that touched real people with real hearts and real dreams. My fear was also that I would be alone. I knew the number one desire of being quirky is community, because that is my number one desire. To belong somewhere, but even more so to deeply connect. Fitting in somewhere wasn’t enough because I am not you and you are not me. When I used to live my life by squeezing into constraints of labels based on who “I should be”, it felt false. I felt like a fraud. Eventually, I found a small corner of the world to build a life around truth. 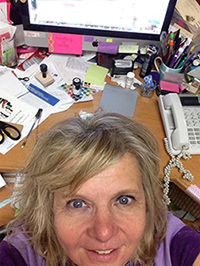 Living Quirky was born from the desire to share this with others. Connection + community. This week, I heard people share their voice without the layers. No more pretending. Truth. It was the most beautiful thing to witness. I may have been over-excited in my comment responses, but it was 100% genuine. Thank you for everyone who proudly raised your quirk-flag. Even the silent ones. I felt each of you uniquely and as one collective, resounding declaration. We are here. We are truth. We are quirky! 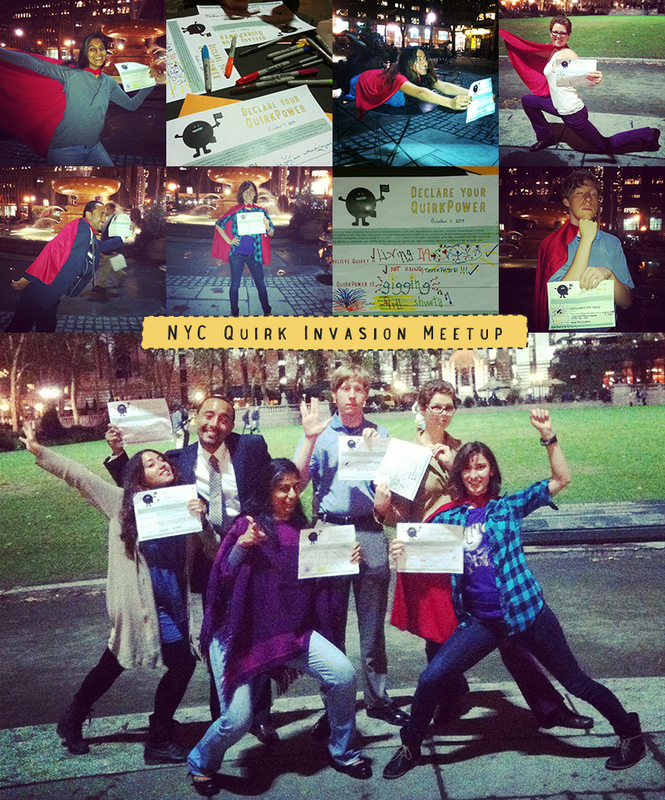 And… we are still only on Day 3 of 10 of the Quirk Invasion, but I want to share a bit with you thus far! These are only a few of the amazing Declarations you all shared! And, we got together for some shenanigans in New York City. Yes, we had a superhero cape to play with! 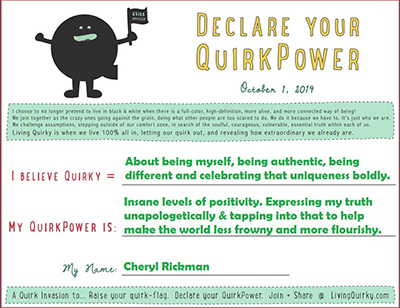 Cheryl shared her Declaration and then had a profound observation. “An observation. NEVER APOLOGISE FOR BEING YOU. I realised this when I shared my Living Quirky declaration earlier this week. I think it’s the things we feel apologetic for which are our quirky traits. I often feel like I should apologise for being positive because I know it can be annoying or make those who are less so feel like they should be more so, which is not the case. I have low fuzzy ‘Grr’ days of utter crappery too and we all have days where we are the opposite of our usual selves, but we shouldn’t feel apologetic for either – as that’s the whole spectrum of being who we are. People who are ‘too’ loud or quiet or extrovert or introvert or daring or weird might feel like they should apologise for being so (yet we are probably all each of those things from time to time); or like those who tend to focus on the negative or positive might feel (‘sorry I’m too negative/too positive’). Ultimately, there is no right or wrong way to be, there is no ‘too’ this or that, which I guess what quirkiness is all about – doing things YOUR OWN WAY without feeling the need to apologise (which isn’t easy). We should never let how other people make us feel about the way we are cause us to be anything other than ourselves, to be/feel apologetic (unless we are being downright nasty). Day 2 of the 10 day Quirk Invasion challenge was about noticing the things we may not have seen before. 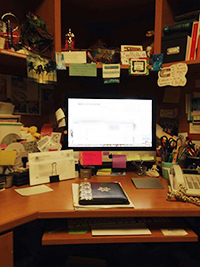 Linda C. realized her desk had gotten a little out of hand and then took the challenge one step further by taking action! Check out these inspiring before and after photos! 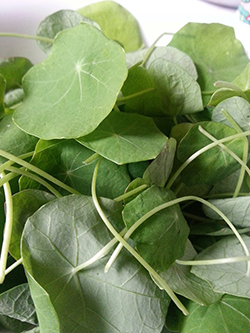 Shweta Parmar of GutsierLiving shared how she noticed her Nasturtiums leaves would “make amazing flying magic carpets”. The comment thread led to us both singing along to “A whole new wooooorld” and discussing our favorite Disney movies! And, one of my most favorite treasures came from Barry Solway. He wrote this poem in celebration of the Living Quirky mission. By their rules if that’s OK. But only if you wear a mask. And will never ever be afraid. That makes you feel ten feet tall. Where mysteries hide behind the eyes. And shaped a little like a bat. You’re a hero flying through the night. Or one that says that you’ve got heart. A mask that says you’re never wrong. Or you can choose to just be you. And play by your own set of rules. To throw those other masks away. p.s. For another of Barry’s amazing poems, click here for the free download of: Courtship of the Monster Under the Bed! The best news is that we’re just getting started! We still have another week of the Quirk Invasion! More details are here, but the short and simple is that you’ll receive a daily challenge via email as a prompt for more connection and then we engage around it in a private Facebook group. To join us, pop in your email address –> HERE! BIG Yippe to all of you celebrating your unique traits in fun, heart-warming ways. It’s giving me a boost to take action on things I’ve been putting off. And to our ring-leader: your experiment is obviously proving to be a success. Congratulations and thanks. 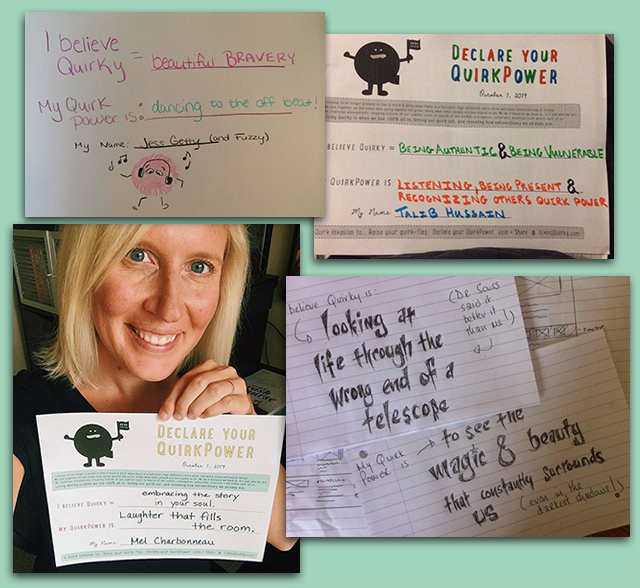 So lovely that you shared your own misgivings about launching the quirk invasion. We’ve all been there and it’s lovely to know that we’re not alone. Thanks for that. And even better to see all the ace things that people have been doing during the event. Can’t wait for the coming daily challenges. 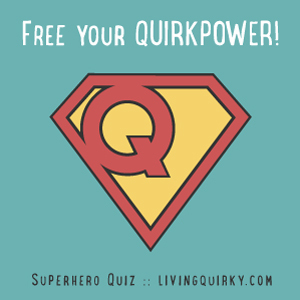 Bring the quirk! I applaud and appreciate your honesty, bold commitment to communicating and inspiring stories! Thanks! ROCK ON!